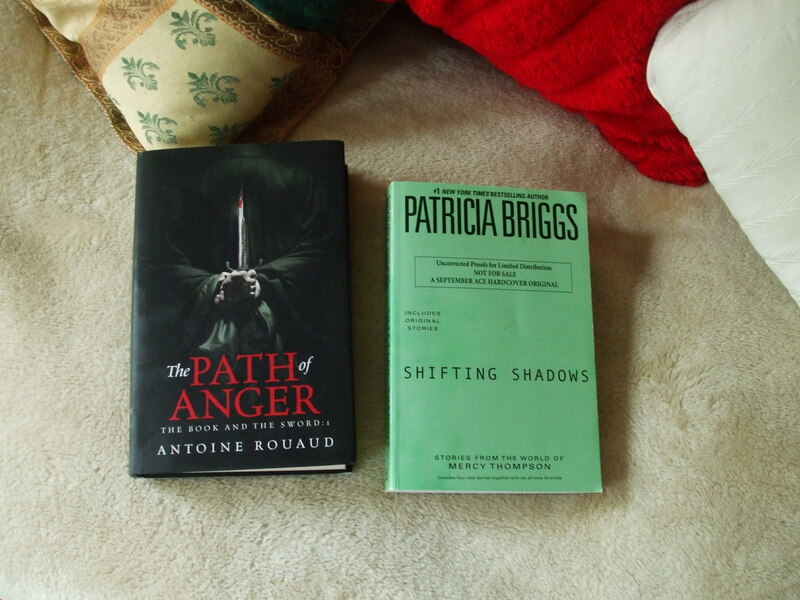 That’s Antoine Rouaud’s THE PATH OF ANGER and Patricia Briggs’ SHIFTING SANDS. This entry was posted in glamour and tagged Antoine Rouaud, books, Patricia Briggs, pictures. Bookmark the permalink.